Many leaders fear competition, so they stifle input. Some leaders are insecure, so they avoid confrontation. Some leaders are self-centered, so they have everything “their way.” Some leaders fear rejection, so they accommodate compromise. Other leaders harbor envy, so they attack good men. God’s work requires a different kind of leadership. God’s people need love. They need nurture. They need transparent leaders who will mentor them, equip them, and serve with them – shoulder to shoulder. People without Christ need Christian leaders who will be genuine with them. They need to hear the Gospel from the heart and then see it lived out in sincerity. 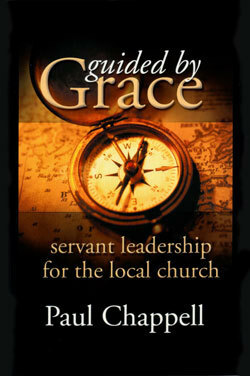 This book flows from the heart of a pastor who has learned and is still learning some tough lessons on leadership. These biblical principles have formed the philosophy that has driven the growth and spiritual development of one of America’s largest independent Baptist churches. God blesses those who focus on serving – living out the life of Christ before others. Our world and our churches are crying out for this kind of Christ-like leadership. Those who have turned a deaf ear to the Gospel could soften their hearts in the light of this kind of leadership. Those who have become disillusioned with “religion” could come to Christ when embraced with the reality of transparent love. If your heart yearns to lead the way Jesus did, read this book, live its principles and pass them on to others. Your ministry will never be the same!